A service to celebrate the life of Mrs. Evelyn Powell Mitchell Lee will be at 2 p.m. Saturday, Feb. 16 at Blanchard-St. Denis Funeral Home in Natchitoches. Burial will follow at Rocky Mount Cemetery in Robeline. The family will receive friends from 5-8 p.m. Friday, Feb. 15 at the funeral home. 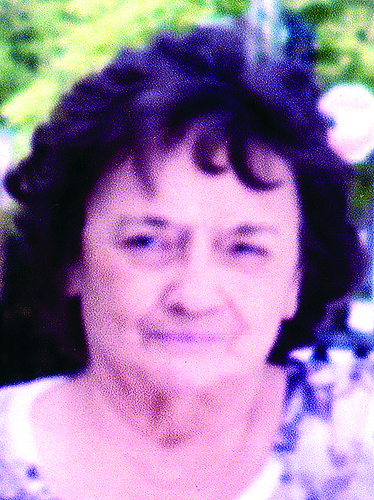 Evelyn, 81, and a long-time resident of Robeline, passed away Monday, Feb. 11, 2019, in Leesville. She was born Sept. 24, 1937, to Charlie Powell and Eura Matthews Powell in Robeline. She had a great love for her family and enjoyed preparing many meals for her family and friends. She was an exceptional cook. Evelyn had a spirited personality and she didn’t mind expressing her opinions with anyone that would listen. She attended Provencal United Pentecostal Church and was a faithful Christian lady that loved her Lord and Savior, Jesus Christ. She was preceded in death by her parents, Charlie and Eura Powell; first husband, Eugene Mitchell; second husband, Thomas Elbert Lee; siblings, Eula Mae Manasco, Rita Mae Manasco, J.E. Powell, J.C. Powell, Porter Powell, W.S. Powell Sr., Franklin D. Powell and Charles Perry Powell. She is survived by her son, Gerald Mitchell; grandchildren, Jacob Mitchell, Kaleb Mitchell, Michaela Matthews and Haley Waller; siblings, Barbara Scalese, Brenda Curtis, Louis Powell and Mike Powell; as well as numerous great-grandchildren, nieces and nephews.